Hi friends! 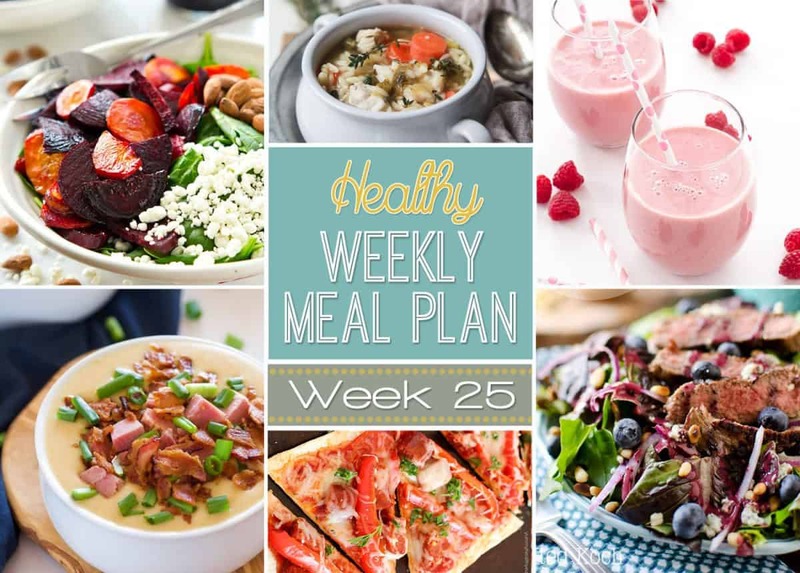 Welcome back to the 25th edition of the healthy weekly meal plan! Let’s kick the week off to an amazing start with tons of awesome healthy recipes that you’re going to love. These Sweet Potato and Black Bean Quinoa Bowls are perfect for Meatless Monday because they are full of protein which is what we all�need to help keep us�full longer. 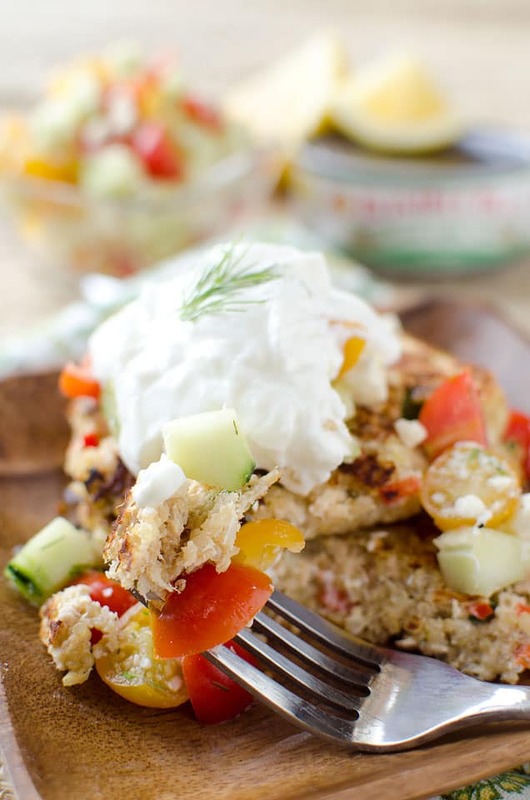 Mediterranean Tuna & Quinoa Cakes�are a quick and easy dinner recipe that is not only healthy, but satisfying and delicious! Made with super foods like tuna and quinoa and piled high with Greek yogurt, cucumbers and tomatoes, this dish will be leaving you begging for more. Pair your tuna cakes with this gorgeous Maple-Roasted Beet & Carrot Salad.�This feel-good, healthy spinach salad is loaded up with plenty of roasted carrots and beets and doused in an unreal maple vinaigrette. This�incredible Sausage Lentil Chili full of veggies, beans, sausage, lentils and TONS of flavor is perfect for a hearty Friday night dinner at home! In this Raspberry Green Tea Smoothie, green tea replaces juice and milk for a�healthy and delicious smoothie perfect for breakfast! No Bake Dark Chocolate Coconut Almond Butter Energy Bites�are�packed full of fiber, nutrients & chocolate for the perfect snack! Made completely in the food processor and both sugar AND butter-free, this�Healthy Cashew Butter Cookie Dough Bark�is an easier and healthier holiday dessert option.—it’s seriously so addicting! 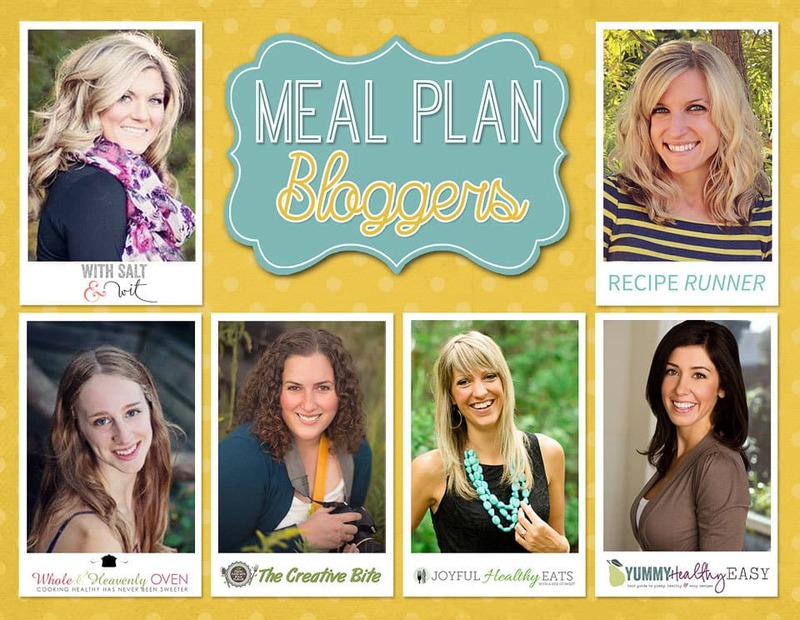 These all look perfect – so many great meals. 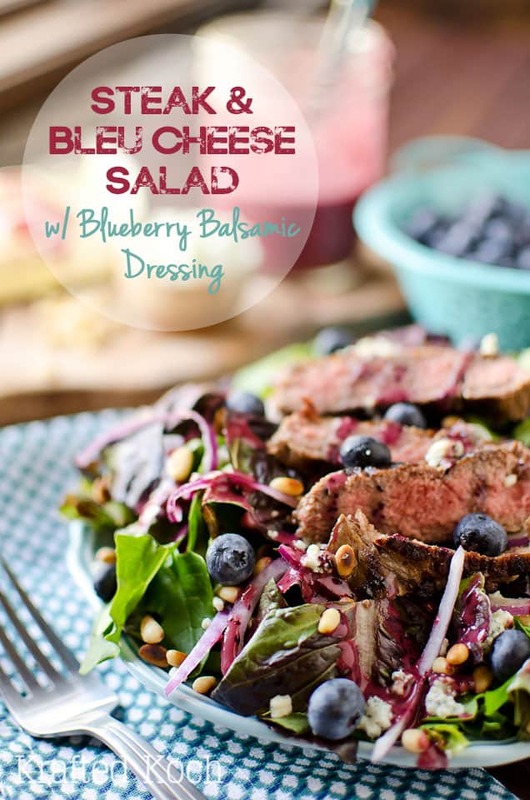 Of course I gravitate towards the dessert – it looks yummy and I love that it is healthier! Haha! Dinner is great but dessert ALWAYS wins right?? Thanks Sherri!